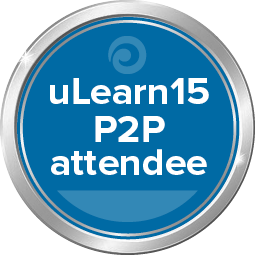 On Tuesday I attended the uLearn Permission to Play conference. I was really excited about the opportunity to "explore how playful-learning leads to deeper learning for students". Given my interest in Makerspaces in the library I chose to attend Mark Osborne's workshop on The Maker Movement in Schools and Tara Fagan's workshop on Future of Learning: Programming, robotics and missions of code. An Ignite opening was first up with Jane Gilbert and Tim Carr. It was great to have an opportunity to play with a variety of electronics, robotics and maker materials. One thing that struck me was that, without a purpose, after working out what everything did I lost interest. While it is important to give our students the opportunity to be creative and innovative, for some of them, like me, they will need a reason, a challenge or an objective in order to take the learning to the next step. I have a wishlist to take back to school now and am starting to formulate a plan for a Makerspace. I also bought myself an mBot, for research purposes! Great reflection. I agree with your observation that having a purpose is necessary to maintain interest. The attraction of the shiny gadgetry is a great hook but not necessarily enough to keep focus. Process and purpose have to be embedded in the task for deep learning to happen. Thanks Anne. I had trouble putting what I was thinking about that into words but you have captured my thoughts perfectly.